Imagine…reciting your vows with the faint sound of water lapping the side of the boat…a gentle breeze blows across the bow of the boat…Is this a dream? 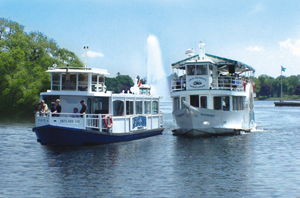 No, this is what a wedding couples experience aboard Liftlock & the River Boat Cruises. Perfect for couples looking for an intimate and memorable alternative to the traditional. 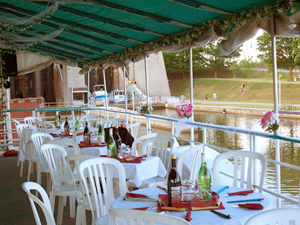 Liftlock & the River Boat Cruises can accommodate 70 persons comfortably and have three wedding packages to choose from or you can customize your own wedding cruise. A celebration that is right for your taste (and your pocket book)! Don’t forget about rehearsal dinners available the evening before the wedding. A boat cruise wedding is perfect for those looking for a unique wedding venue and want to share an close intimate reception with family and friends. Click Here for more information.